Schools OUT UK is Now a Charity! 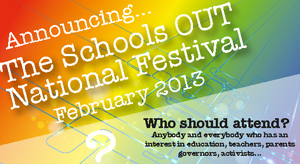 We are delighted to announce that Schools OUT UK is now a Charitable Incorporated Organisation after 40 years of campaigning for LGBT people in education! 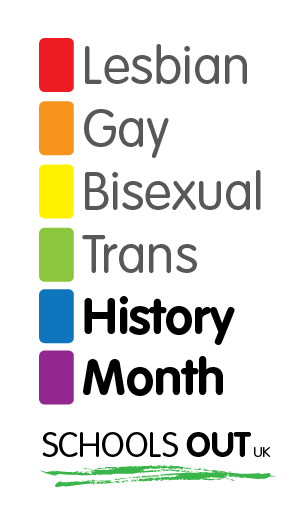 Henceforth we shall work under the generic title LGBT History Month with a new logo and website; lgbthistorymonth.org.uk. This website and The Classroom will be incorporated into the new website. 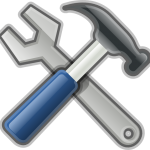 This is a long term project so please bear with us while we move our materials over to the new site; and if you can’t find what you are looking for please don’t hesitate to contact us. Rights Against INtolerance: Building an Open-minded World (RAINBOW) project. These films and the accompanying lessons challenge homophobia and transphobia by challenging the stereotypes that lead to prejudice and discrimination. The project was developed in the Basque Country, the UK, Belgium, The Netherlands, Germany, Italy and Bulgaria. For anyone who works in a school, bullying is an unfortunate reality. From comments about weight to remarks about ethnicity or disability, pupils – and some teachers – can be cruel and thoughtless. Understanding gender and sexuality is essential for new teachers, long standing teachers, heterosexual teachers and lesbian, gay bisexual or trans teachers. It is also vital to understand in order to meet new legal and Ofsted requirements.